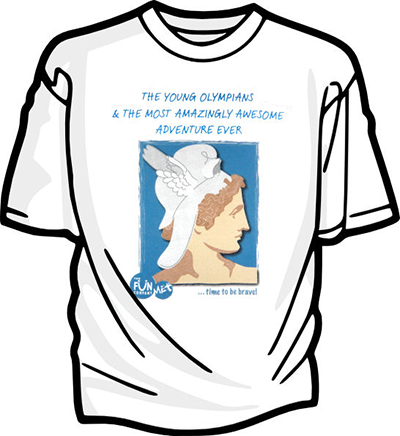 The Young Olympians and the Most Amazingly Awesome Adventure Ever! Our Young Olympians are on their own most amazingly awesome adventure ever at both Capitol and New York City Fringe Festivals! Help support our gang and advertise their show by purchasing your own Young Olympians t-shirt or CD. All shirts are $16.50, which includes $1.50 handling fee. CDs are $11.50, which includes a $1.50 handling fee.